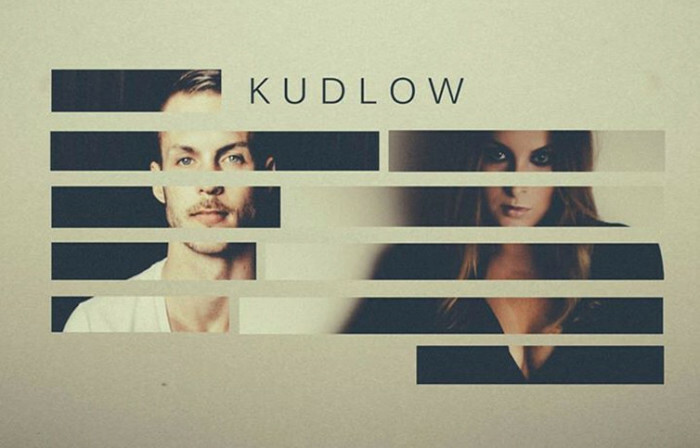 After just a short time together, EDM producer Matthew Settle and Detroit native Michelle Parish blend an array of genres creating the smooth and seductive essence that is to be known as Kudlow. The duo will take you on a journey into a deepened dark dream world that evokes curiosity and intrigue. Kudlow is putting the finishing touches on their debut LP, to be released later this summer. In the mean time, we are treated to few selections of their talent. Their single Only Human has received over 60K plays already, and shows that Kudlow has no intention of slowing down. The track itself is simple, to the point, and catchy as any pop track circulating the airwaves should be. Michelle’s voice shines through the ever addicting hook, singing “But I still bleed, I’m only human” in an incredibly sultry fashion making the simplicity of this tracks structure one fully rounded beautiful sound. With the face of pop music on a commercial scale shifting the way it has in recent years, the time for Kudlow’s niche market is here. With the likes of artists such as Lorde, Banks, and EDM centric pop taking a more urban route in production, Kudlow fits right in with any of these industry heavy weights. It is only a matter of time and exposure until Kudlow sees recognition in the same light as their more famous musical equals. Check out some of the sultry offerings from Kudlow on their Soundcloud page, and be sure to show them some love as we await a full length debut album from the Nashville based duo.